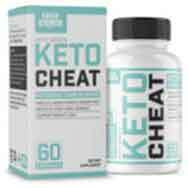 Keto Cheat is a carb blocker manufactured in America by Sheer Strength Labs. The company’s primary focus is providing bodybuilders and other sporty individuals with supplements they can use to enhance their training capabilities, improve their results, and carve out a lean, muscular physique. The name “Keto Cheat” suggests this carb blocker is intended for two kinds of people—those who are following a ketogenic diet and dieters looking for a cheat pill that will allow them to enjoy high carb food without gaining weight. Positives: The carb blocking effect of white kidney bean will reduce the absorption of any carbs that are consumed, thereby encouraging the body to burn fat for energy in the manner keto dieters desire. What Is Keto Cheat and How Does It Work? As with any other carb blocking product, Keto Cheat is designed to limit carbohydrate absorption. Every gram of carbohydrate that is consumed carries an energy load of four calories. When the body receives more calories than it needs (from any nutrient) it converts the excess calories to fat. 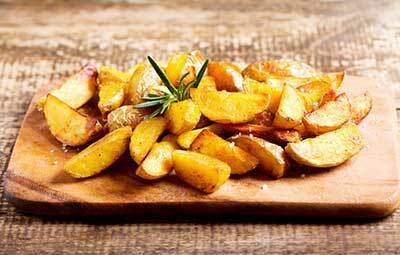 Carb blockers that work in the intended manner interfere with carbohydrate digestion and any carbohydrate that is not digested passes through the body unprocessed, without releasing any calories. White Kidney Bean 20:1 Extract (500mg): Most carb blocking supplements rely on white kidney bean extract to get the job done because research shows it inhibits the activity of the enzyme responsible for digesting carbohydrate. The form used here is a 20:1 extract that has been concentrated to 20 times normal strength. That means the 500mg provided should pack the same power as 10g of standard-strength white kidney bean extract. Green Tea (250mg): The dose provided here may be a tad too low, but green tea is packed with antioxidants and nutrients that provide numerous benefits, including weight loss, and it there is no shortage of scientific evidence to support most of the health claims that are made for green tea. Cinnamon (200mg): Some research suggests cinnamon reduces insulin resistance. This could give it value in a formulation such as this because one of the symptoms of insulin resistance is a powerful craving for sugars and starches. Usage Instructions – The label states two capsules are required with a full glass of water. No other information is provided. Keto Cheat customer feedback is a mix of good and bad. The formulation appears to be tolerated well by the majority of users, but women who are pregnant or nursing a child are advised to consult a doctor prior to commencing use of the product. As are children under the age of 18 and people with medical conditions. We feel this advice should also be offered to potential people who are using medication. When we visited the manufacturer’s website for the purpose of this review, we could not find Keto Cheat in their online store so we did a site search. The search results stated the product was sold out and a “no image” message marked the place where the picture of the bottle should have been. We strongly suspect the product has been discontinued, but some stock still seems to be available via Amazon.com. Sheer Strength Labs appear to offer a 30-day money back guarantee, but all they are really offering is to refund customers who return unopened products withing 30 days of receipt. It’s possible that the formulation of ingredients used in Keto Cheat could be of benefit to people who are following a keto diet because the cinnamon content may help reduce their desire for sugar and starches and help them to stick to a diet that is low in carbs. The carb blocking effect of white kidney bean will reduce the absorption of any carbs that are consumed, thereby encouraging the body to burn fat for energy in the manner keto dieters desire. The carb blocking ability of white kidney bean may also provide damage limitation to normal dieters who are having a “cheat day”, but this kind of activity is not to be recommended. Giving in to cravings is habit forming and is not conducive to long-term weight loss. Green tea is always a good ingredient to see, in any formulation, and it’s presence here should help Keto Cheat users to burn extra calories and fat. However, all this is neither here nor there because Sheer Strength Labs appear to have dropped the product and that is a fact that casts a large shadow of doubt over its value as dietary aid. 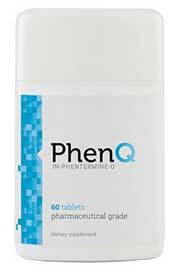 Our recommendation is for PhenQ. We review hundreds of diet products a year and until something comes along to eclipse it will continue to do so. PhenQ is multi action and multi benefit. There is a long money back guarantee and many user testimonials.